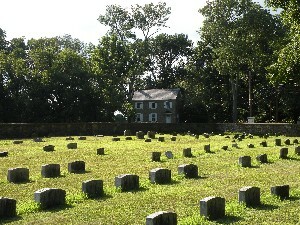 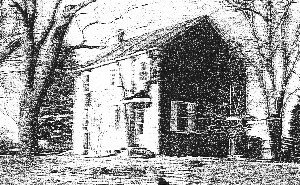 Solebury Friends Meeting was established in 1806. 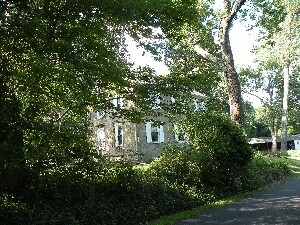 It operated a grammar school, the Solebury Meeting Auxiliary School (also known as Blackfan’s School), across Sugan Road from early years until about 1856, when the township school system took it over as an adjunct to the school in Solebury. 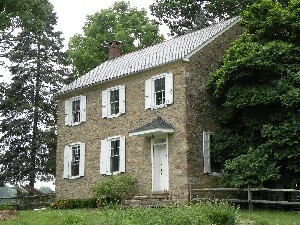 It continued in use until 1898, when it closed and remained empty until converted to a residence for the caretaker of the meeting.